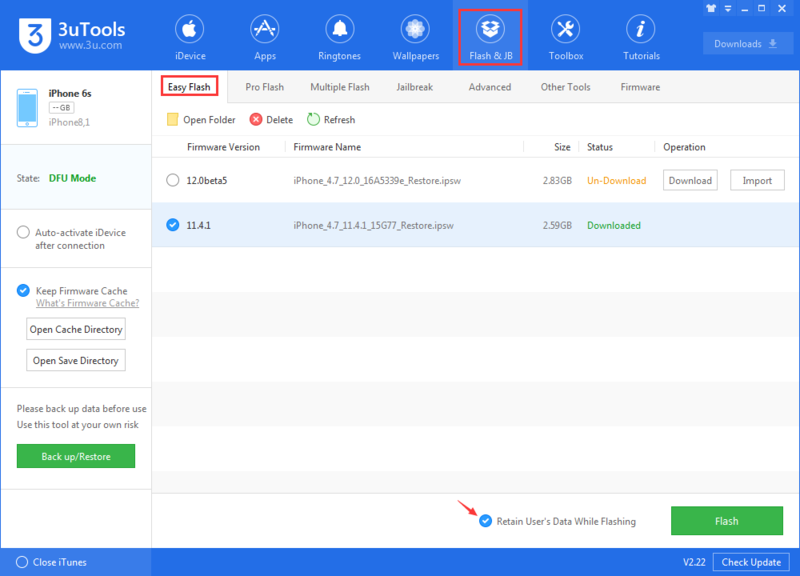 How to Fix iDevice Stuck in DFU Mode Using 3uTools? We posted about exiting Recovery mode on 3uTools before. Now it is about exiting DFU mode. It's hard to tell whether your iPhone is stuck in DFU Mode or simply freezes at the black screen. You can easily check the status of your device on 3uTools. 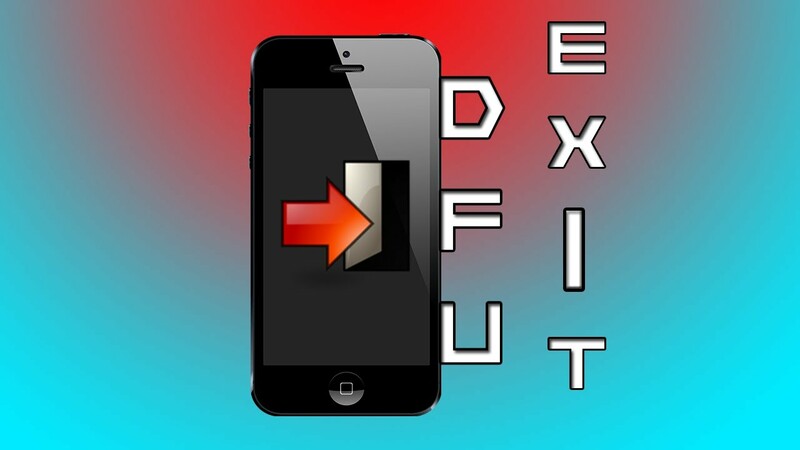 If you're in trouble with DFU Mode or can not exit DFU mode manually, this post is a helper for you. The method I'm going to introduce is workable on all models of iPhone. With the step-by-step instructions, what you need to do is simply follow this guide. No more cliche, let's hit the road. Hold down the “Home” and “Power” button of your iPhone while still connected to iTunes until the Apple logo appears on the screen. Hit the “Power” button to reboot your iPhone iPad. If all goes well, you should be out of DFU after the reboot. If it is not working, please keep reading. Step 1. Install the latest version of 3uTools, and launch it. Step 2. Click Flash & JB -> Easy Flash, then select the firmware version you want to flash. Please remember to select the option “Retain User’s Data While Flashing”. Step 3. Please confirm the network and connection between your device and your PC. Then click “Flash”. Step 4. Please wait patiently till the process is completed. 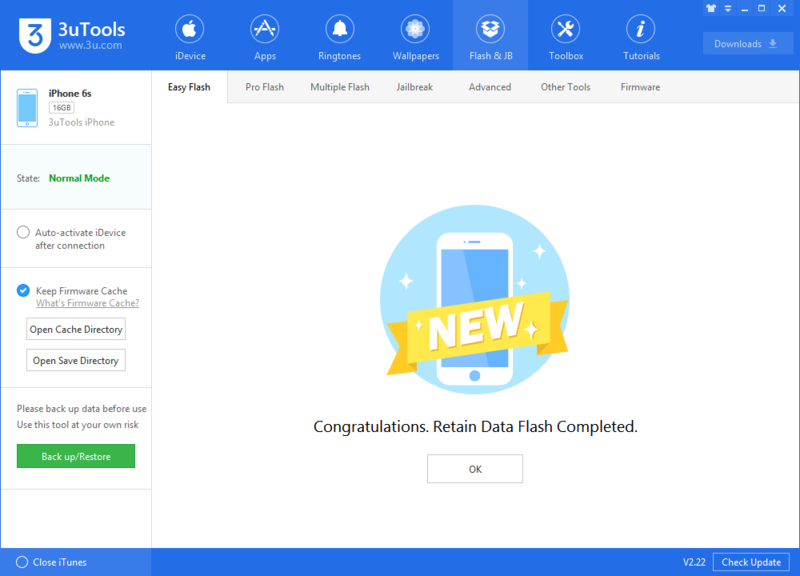 If there is no hardware issue on your device, you can flash your device successfully. How to Enter KDFU Mode While downgrading? iPhone 8 Tips: How to Force Restart, Enter Recovery and DFU Mode The Most Simplest Way to Enter DFU Mode How to Put Your iPhone8/iPhone 8 Plus/ iPhone X In DFU Mode? 8 Tips to Fix iTunes Error -39 When Sync or Restore iPhone iPhone X Won’t Turn On? Here's How to Fix the Dead iDevice How to Fix iPhone Alarm Not Working on iOS 11?